CHEMETAL USA is a leading producer of premium tungsten rod. CHEMETAL USA offers tungsten rod with diameters ranging from 0.029″ to 4.0” or more. We can cut tungsten rod into varying lengths depending on the diameter of the rod chosen by the customer. We offer two different surfaces tungsten rods which are black rod and ground rod respectively. The black surface tungsten rod is forged by passing through either the swaging or drawing machine or both. Therefore, a black and thin layer of oxide adheres to the finished rod. But the ground surface tungsten rod is further processed by passing through a centerless grinding machine which removes the black oxidant coating. Consequently, ground tungsten rod gains a more uniform diameter than the black surface rod. Rod Diameters are drawn on prior sales. Please contact us for additional availability. CHEMETAL USA specializes in the manufacturing of tungsten rod. 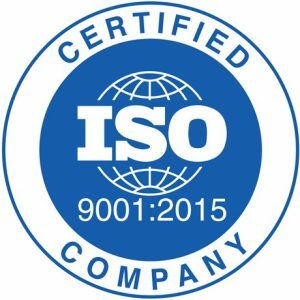 We understand that top-quality control is essential to produce products that satisfy our clients. Thus, we have placed a great deal of emphasis on monitoring every step from the beginning of the forging process to the end of the inspection. Hot Isostatic Pressing ensures our tungsten rods obtain a high density and fine grain size. These two properties are critical to the components fabricated with the rods since it will help the components have a long service lifespan. The ground rod has no cracks, burrs and oxidation phenomenon on its surface. Our tungsten rod is also heat treated and thoroughly checked with NDT in order to identify and eliminate the crack lines, pores and various other defects. Additionally, the forging process refines the grain structure and improves the rigidity. 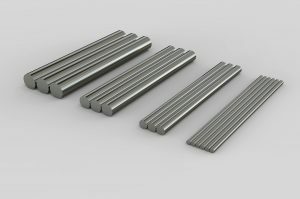 Thereby, tungsten rod is an ideal material to make thermal conductors, welding electrodes, headpieces for the industries of quartz, stirring bars for smelting, heavy hammers, fasteners, etc. CHEMETAL USA is capable of offering various types of tungsten rods that all meet a consistently high standard of diameter tolerance, roundness and straightness. We are also able to provide a fast lead time and handle large-volume contracts. Request a quote or contact us today by checking our CONTACT US page. To learn more information about tungsten products, please visit our HOMEPAGE.